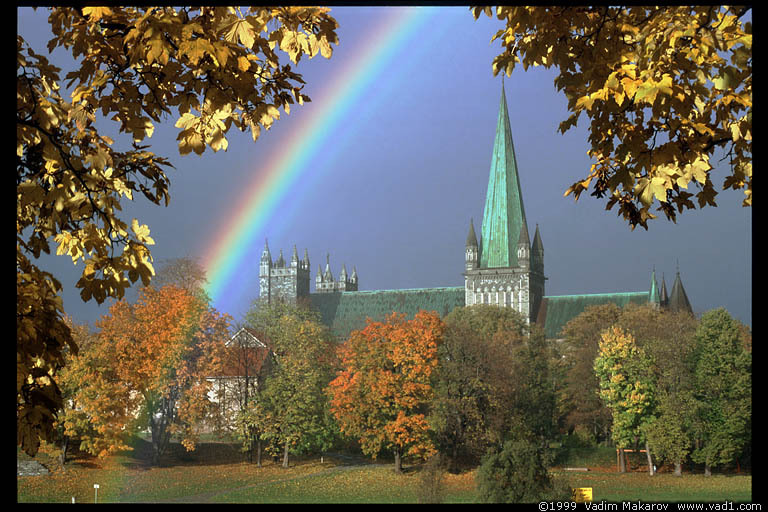 A wooden chapel was made on this site around 1035, on the sepulcher of Olav the holy. A cathedral was built in 1090. The cathedral was extended in 1180, 1220, 1240 and 1300. Huge fires occured in 1328, 1432 and possibly 1451. 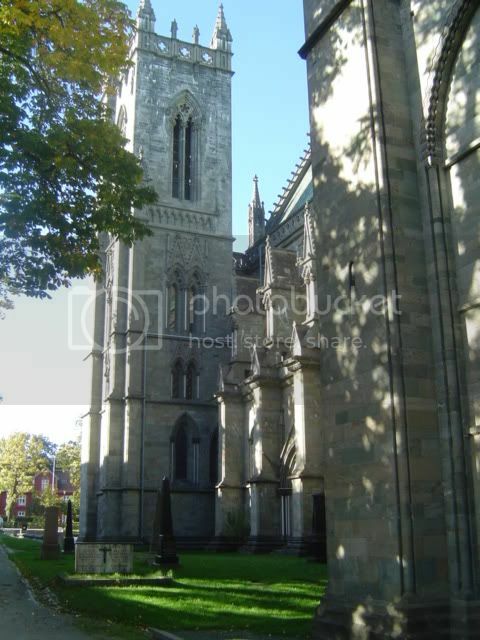 In 1531, all of Trondheim burned down, and the cathedral was not restored properly due to bad economy. The church then burned again in 1708, and restored, only to burn down yet another time in 1719, after lightening had struck. It was then restored in a quite cheap way, partially in a borocco style. A proper restauration started in 1869, and huge efforts was made in investigating how the cathedral once appeared. 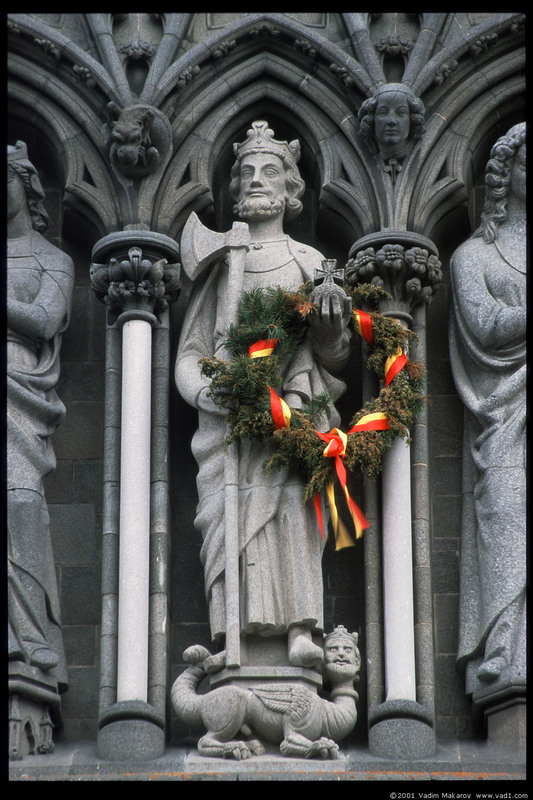 Most of the cathedral finished restauration in 1969, and the last statue was put on place in 1983. The church is today the largest in Scandinavia. Wow! What an amazing building!! It must really be impressive to see it in person! I love the statues. It just seems like the cloth that the stone priests are wearing could just ruffle in the wind. very nice photos! The rose window is particulary striking. 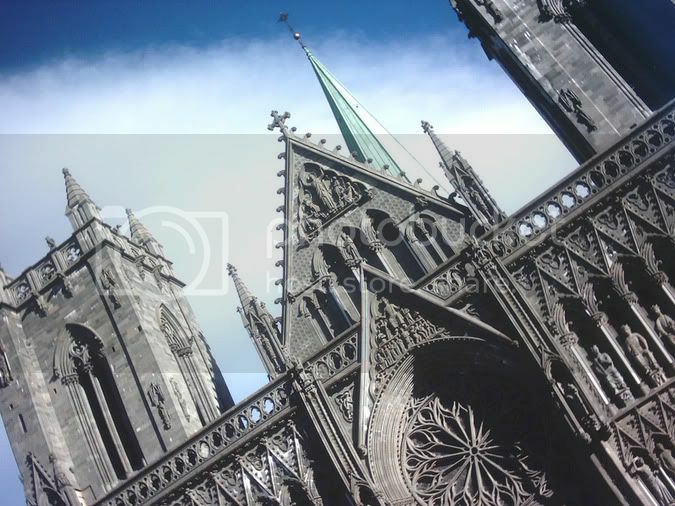 I like the botanic elements in it, it looks like tree branches reaching out from the center, an element I have not seen in other European Gothic Cathedrals. 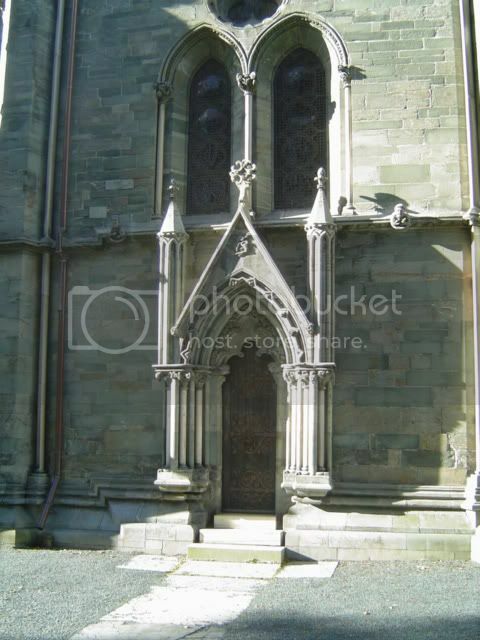 I was both baptized and confirmed in the Nidaros Cathedral. I remember the confirmation ceremony was very special, with the echoing music and lights. The building itself is very much like a medieval castle, with secret rooms and chapels, and passageways going everywhere, from the towers down to the catacombs beneath. Local legend has it that a ghost, known as 'Munken' (the Monk) haunts the cathedral building, sometimes appearing at services, looking down from the galleries.